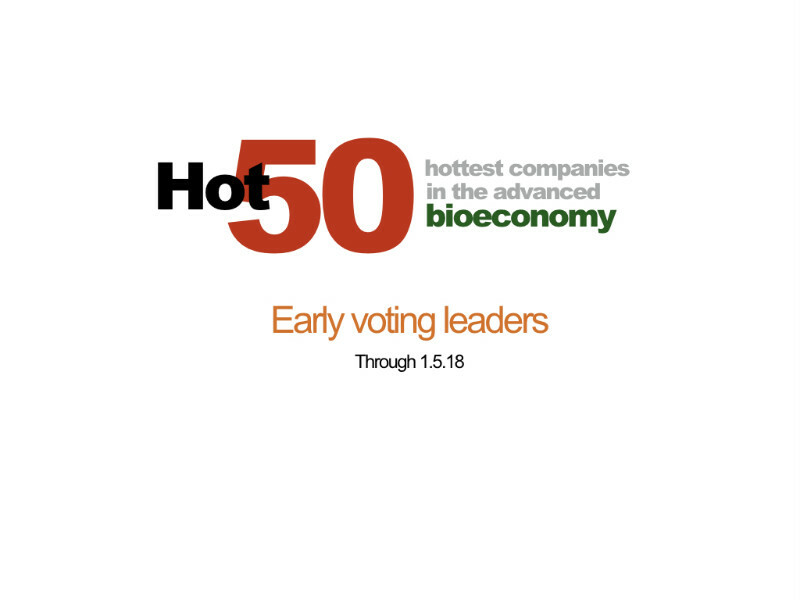 LanzaTech, Novozymes, Amyris, DSM, Enerkem, POET, BASF, Genomatica and Braskem have taken the lead in early voting in the 50 Hottest Companies in the Advanced Bioeconomy ballot. The Digest released the early-voting totals from Subscriber Voting — which do not yet include Invited International Selector votes. This week’s summary includes photo and other bonus votes which are just now beginning to come in, also. Notable among the leaders is the rise of an international set of leaders — from Europe: Novozymes, DSM, BASF, Avantium, Clariant, Stora Enso, Green Biologics, IKEA, Bayer, MetGen and Soffinova are among the early leaders; from Canada, Enerkem and Ensyn; from Brazil: Braskem. LanzaTech, though ow a US company, was founded in New Zealand. Also notable are the strong presence of major strategics such as DSM, ADM, BASF, Braskem, Clariant, IKEA, and AkzoNobel among others. And, the number of (primarily) chemicals players such as BASF, Braskem, Green Biologics, Genomatica and Avantium. Also, fresh faces such as Impossible Foods, Ginkgo BioWorks, Evolva, Bolt Threads, Beyond Meat, and Zymergen were scoring well with voters.